Shari Bollers went along to Oval House Theatre to interview Denton Chikura and Tonderai Munyevu the men behind Kupenga Kwa Hamlet. They formed for 2 Gents productions two years ago and haven't looked back since. Both charming and articulate they took time out before curtains up to talk to Afridiziak Theatre News. How did you meet to form 2 Gents productions? Tonderai Munyevu [TM]: We did a radio play together but our director actually found us, he found me through a website and Denton was recommended to him. But we had worked together on a radio play and then we went on a different play before we formed our company. Our director was responsible for getting us together, but we would have met eventually. Where did you both train to be actors? Tonderai Munyevu [TM]: I trained at the Actors Company, the London centre for theatre studies. Denton Chikura [DC]: I didn't train. It wasn't a conscious decision not to train; it wasn't for lack of trying. I came here with the aim of training but I found it too expensive. I had managed to organise some funding but it fell through last minute and at which point I got into Central (Central School of Drama and Speech) and spent a week there and had to drop out. So through perseverance, waitering and by having other jobs off the back of another I got work. TM: I find it to be enriching. One of the teachers I had was Russian and was able to instil in us the understanding of method and technique that maybe we didn't understand at the time but in hindsight it makes a lot or sense. She was a good teacher and it was an invaluable experience. DC: South African Theatre inspires me. How they tell stories is compelling and innovative. TM: I would say that Stephen Fry inspires me. He's a man that has done so much with his life, whether it be an actor, writer, presenter - overall he is an intelligent man. I would love the opportunity to try my hand at lots of other things as he has done. TM: I would like to play an African coming to the country in the Sixties. During those times the perception of an African by the English and American and what the truth is wasn't a true representation. Only the African coming here could give a true representation. DC: I would like to play a young Robert Mugabe. Imagine the man in his hey day, how he managed to charm and enchant everyone to put into power. That takes some person. Tell us about your roles? TM: We play all the characters between ourselves. How does this production differ from the Shakespearian script? TM: It differs because it transfers the characters into a Shona environment, where their motives are sometimes changed and their direction sometimes alters from what Shakespeare intended. DC: But we are still using the same text, Shakespeare text. We haven't rewritten it. What do you think makes a good production? TM: Fantastic acting. Well we try, I don't know if we always achieve it. I think also an emotional engagement that the audience participate in, that is important. Also a great visual understanding - a visual language that the audience gets. DC: I think that storytelling and direction make a good production. In three words sum up the production? How old were you when you came here and what opportunities were available to you in Zimbabwe whilst growing up? DC: I was 19 when I came here. TM: I was about 13, 14. I came here because my mother came here. I got into acting when I was here and found that there was a lot of help in terms of becoming an actor. DC: I had always been acting in Zimbabwe and I went to a good school. I was part of a drama company in Zimbabwe as well. So, it was something I always did from a young age and then a lot of Zimbabweans who I had acted with came and made careers over here. They use to come back and I would and see them and they would be like 'Oh we just came back from a tour in Germany blah blah blah' and I was like 'Ah it can be done, I can make a career out of this myself '. As soon as I left school, I did a year of teaching drama at my old school and then I came here. 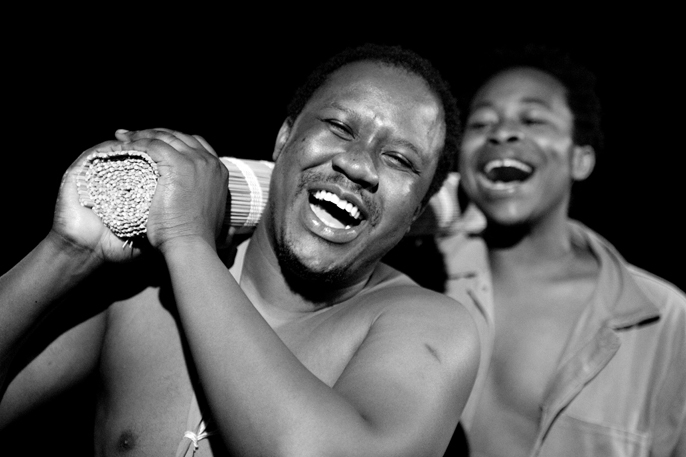 What is the theatre industry like in Zimbabwe? 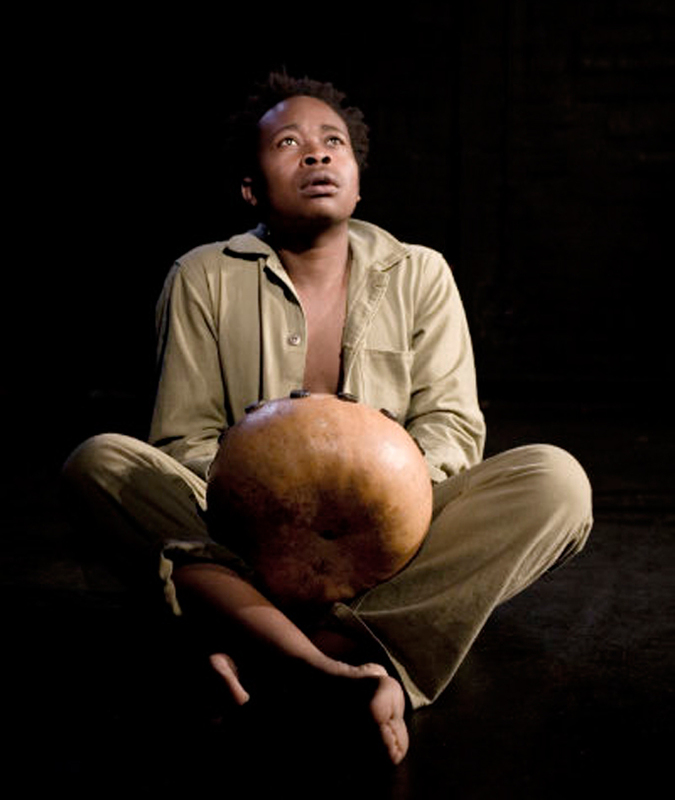 What is the future for Zimbabwean Theatre? TM: There is a lot of talent in Harare in Zimbabwe and there has been Zambezi Express - a production I saw in Zimbabwe which has toured here. It was produced by a Zimbabweans and has toured internationally. The costumes are great, the story is great. We have UK partner who are producers and tour bookers who are dying for work that is resonant, that is coming from somewhere else. Because the Zimbabwean artists who make productions about Zimbabwe from here (UK) lack a truthfulness and an authenticity. We have to have someone who has experienced it to write it, we can't write it second hand. The more we can convince people to lend their support and to start going back (to Zimbabwe) for periods at a time, I think the more the work will be worth seeing internationally as well as in Zimbabwe. I feel that it is such uncharted territory that will afford me as an artist of truth and depth to discover something new that I can share not just with my colleagues here and my audience here but take it even around Africa. I make no bones about the fact that I feel that is special, for me as an artist to be in that position to speak the language to also to have the training. Is there a place for Shakespeare in Africa? DC: There is a place for Shakespeare in Africa. I think that Shakespeare relates more to African society more now than it did and does in Britain. In terms of bureaucracy, society, family values and language. The language emulates Shona with how words have meaning how something can be said and could hurt you more than a weapon. Knowledge is Power Question: What single piece of advice would you give to someone who wanted to be an actor? DC: Start doing it at whatever age, no matter how old you are, just start doing it. I think that a lot of people here wait to go to drama school; they feel like it is a prerequisite to making a career. After drama school, it's then an agent and they start thinking what kind of agent is going to get me a job. And then once they've got an agent, let's wait for that job, let's wait for the phone to ring, there is so much waiting basically. We having been working non stop for three years. Whereas I feel like I am in a much better stead because I didn't have that waiting, I just did it; I've been doing it since I was a kid. I only got an agent two years ago now and I've been acting in this country for seven years. I feel that because we got together and made this theatre company, 2 Gent productions, we have been working non stop, touch wood for the past two years. Back to the fact we realised that we couldn't wait for people, we have to give ourselves the opportunity. TM: Get a tough skin. Just be brave and respect yourself. If you feel that you're worth something, like if you feel that you don't want to be in a Hollywood action film, and you want to be in the theatre for your whole like in a dingy up stairs thing that you are creating yourself, respect that. I think that you have to know how talented you are. If I had known earlier that I was gifted I would have been more disciplined.